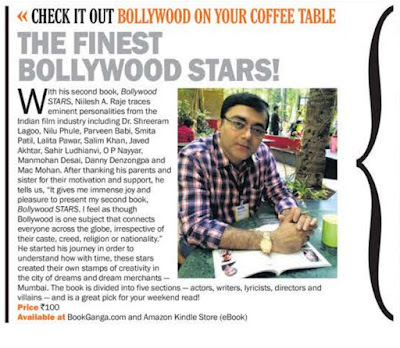 30 June 2016 - I would like to Thank my parents and my sister for their immense support and motivation while coming up with my 2nd book "Bollywood STARS". 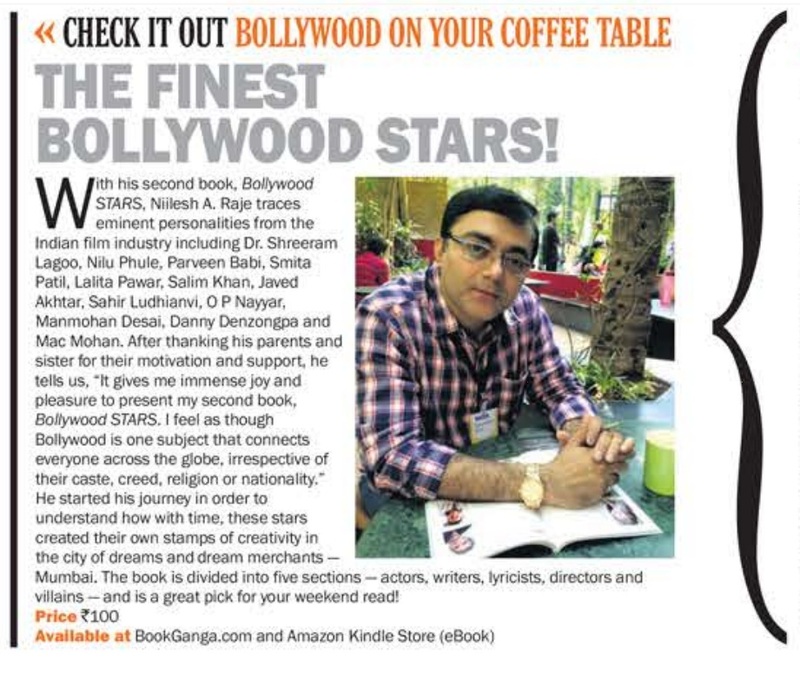 I feel Bollywood is one subject that connects everyone globally irrespective of one's caste, creed, religion or nationality admits author Niilesh A Raje. My press coverage in today's Afternoon Despatch and Courier newspaper . . .